It's easy to install your aluminium sliding driveway gate EMALU - LILLE by yourself. 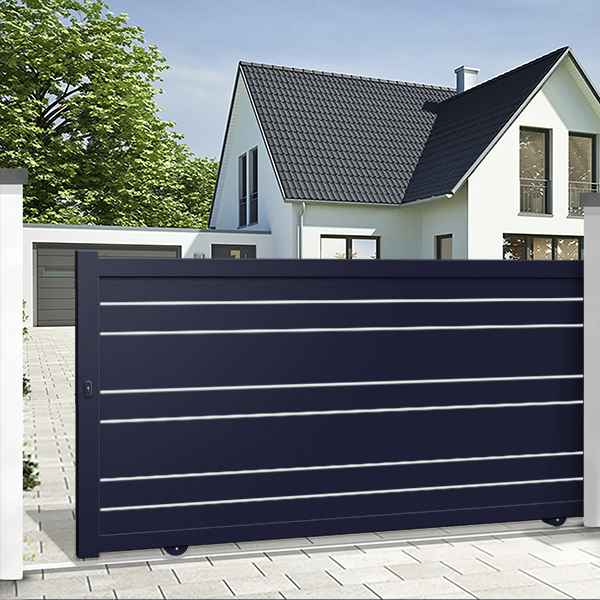 The EMALU driveway sliding gate is made of 100% aluminium using high-grade and state-of-the-art material, which offers numerous advantages. 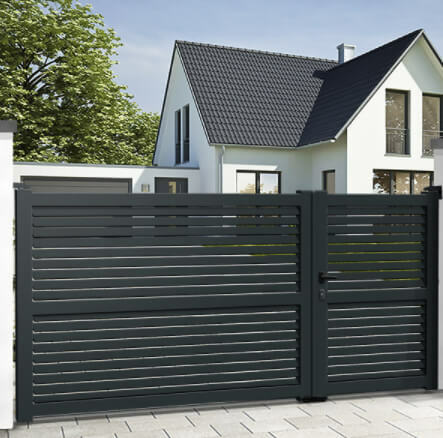 The sliding gate model LILLE is a contemporary design manufactured through mechanical assembly using mortise and tenon joints to offer a better rigidity, flexibility and strength to make them long lasting. 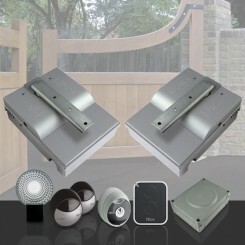 They are also resistant to the most extreme weather conditions. 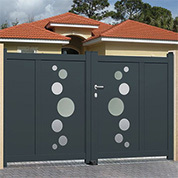 EMALU Aluminium gates do not require any special surface treatment before or after installing. 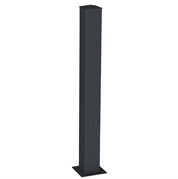 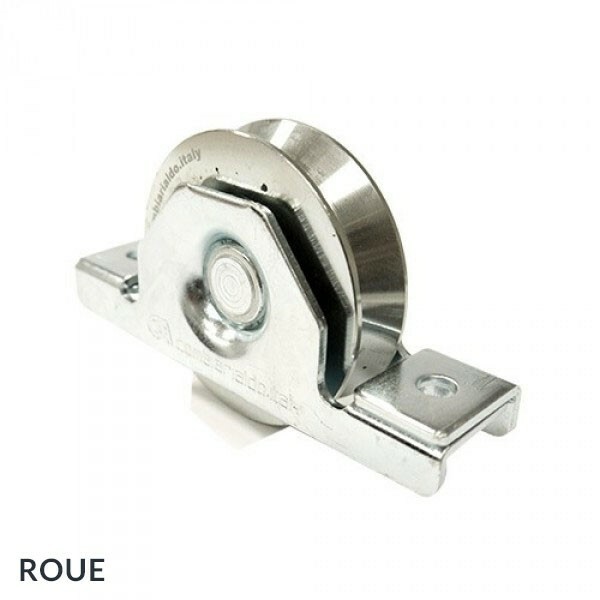 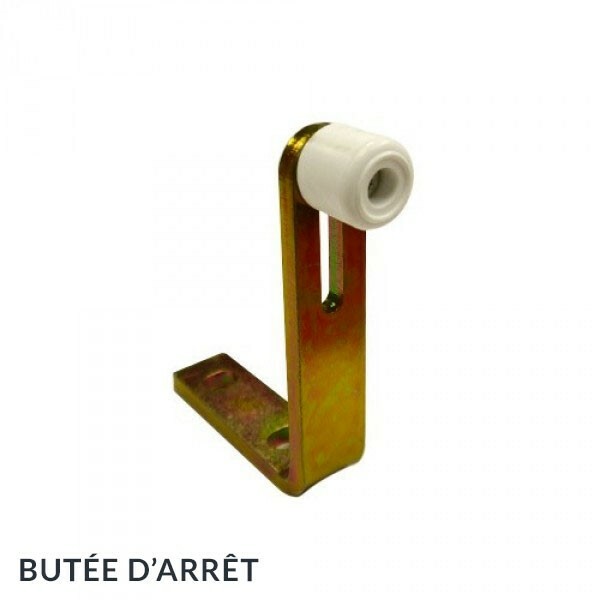 They are resistant to rust and corrosion. 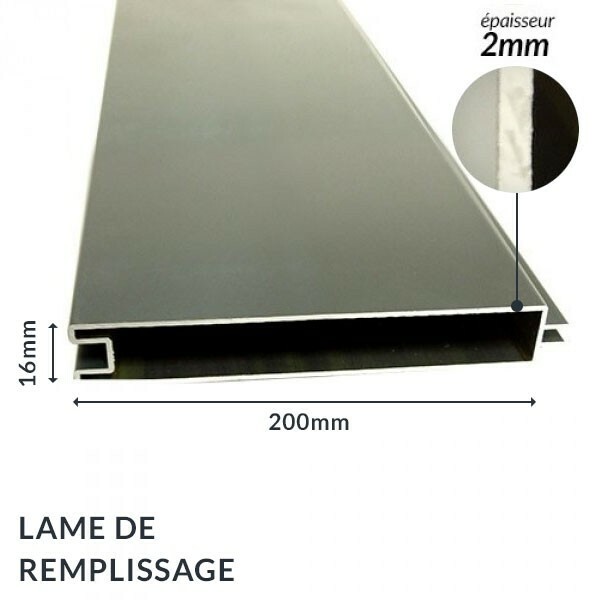 All EMALU aluminium gates are certified with the international recognised product schemes QUALICOAT and QUALIMARINE. 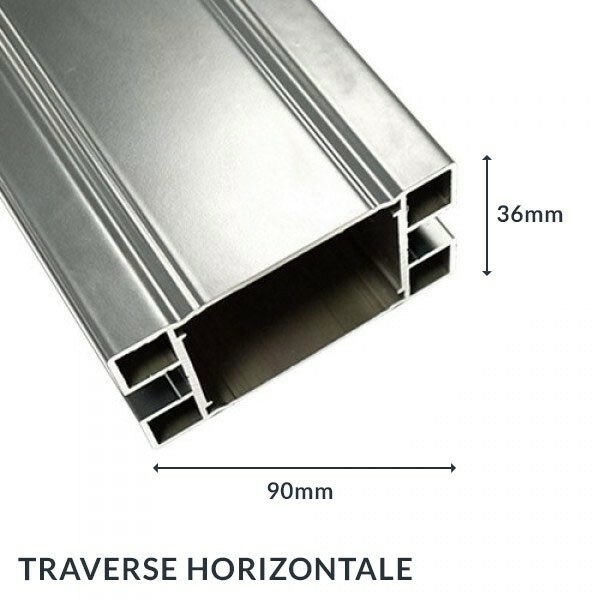 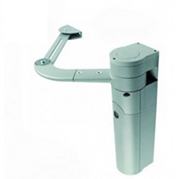 All our aluminium vehicle or pedestrian access gates come with a 10-year manufacturer guarantee. 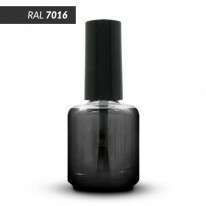 Contemporary design available in 6 colours: White RAL 9016, Grey anthracite RAL 7016, Blue RAL 5003, Black RAL 9005, Burgundy RAL 3005, Green RAL 6012. 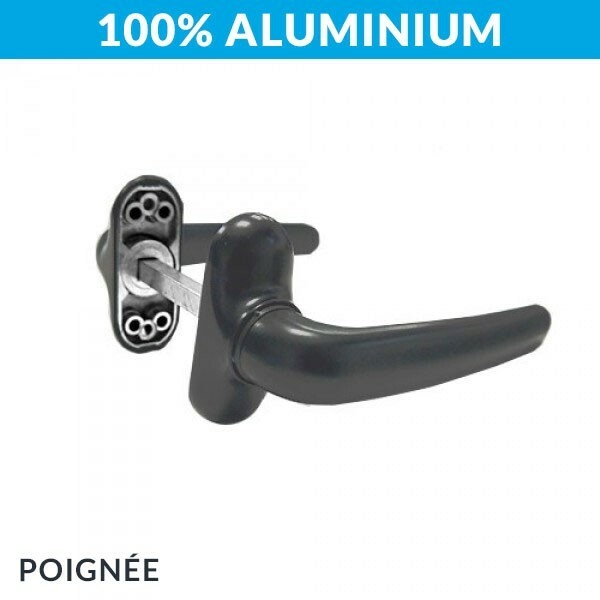 Easy maintenance, we say ZERO maintenance. 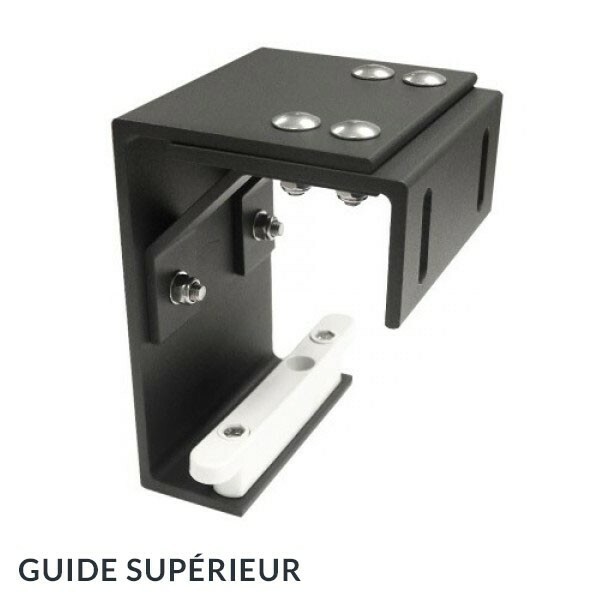 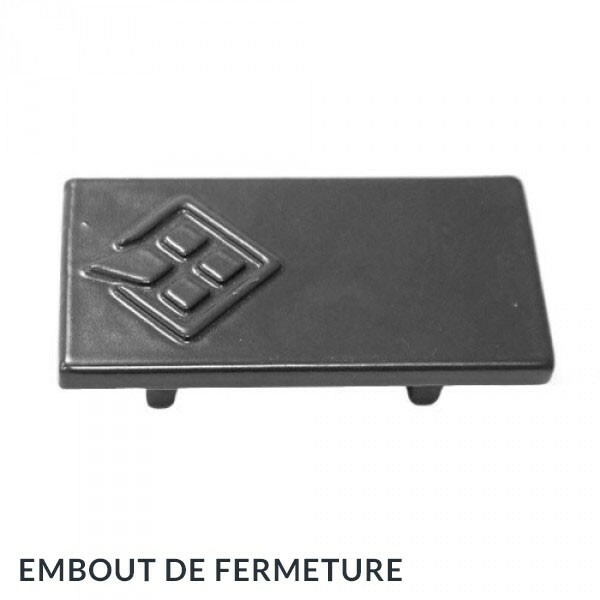 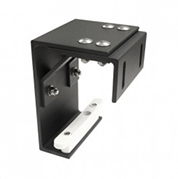 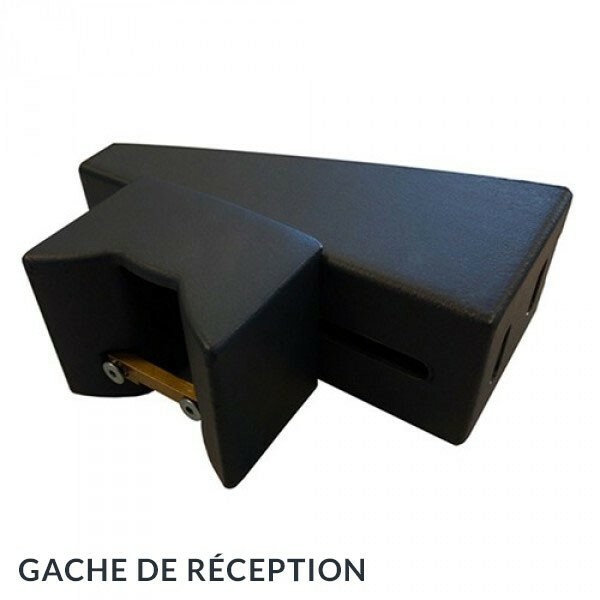 Do you want to operate the EMALU - LILLE sliding gate automatically, we made it easy for you. 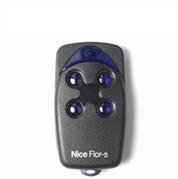 Our team of experts has selected already for you one of the best automatic gate driver systems available on the market, the NICE ROAD kit. After you have chosen your gate, colour and size, with just 1 another step you can decide to complete your sliding gate with an automated driver. 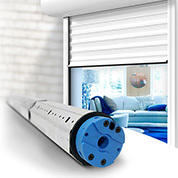 Easy to install and easy to use. 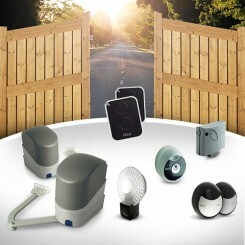 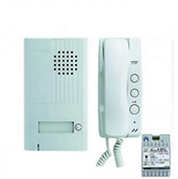 Product extras : Extreme durable and resistant to all weather conditions, all our automated gate drivers are EN approved and comply with Gate Safe Aware security standards which includes electronic obstruction detection, programmable opening - full or partial-, motion control system and the remote control will stop gate immediately. 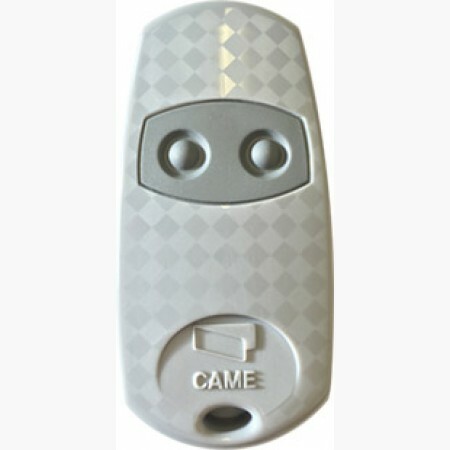 All are easy access, simplified and secured manoeuvrable. 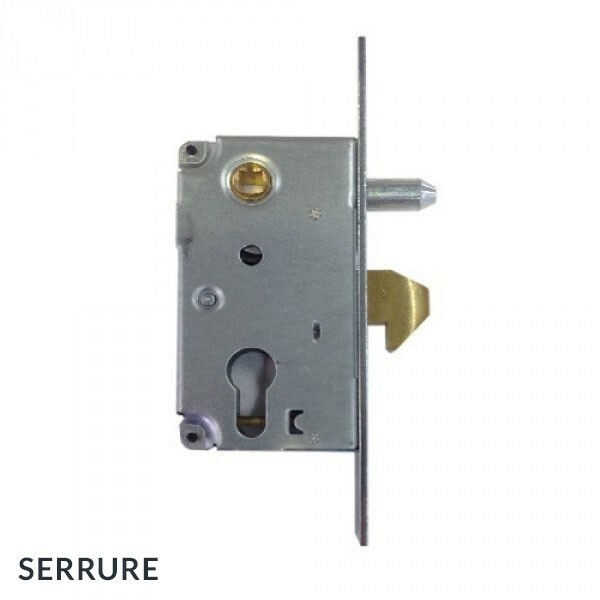 1 irreversible electromechanical gear motor 24 V.A.C. A gate is a central and crucical feature for a home. 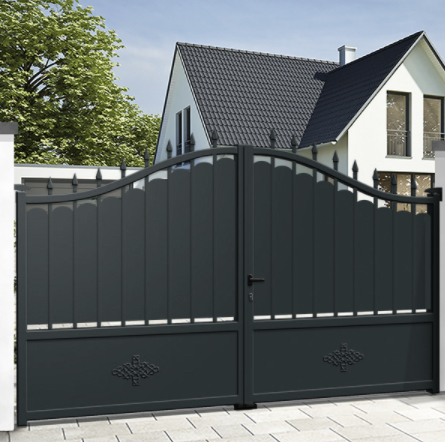 A gate must provide security whilst adding to the look of a home. 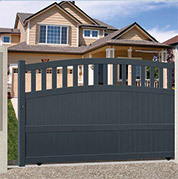 If you are looking to add a gate to your home, then visit MisterGatesDirect! 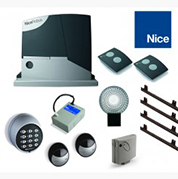 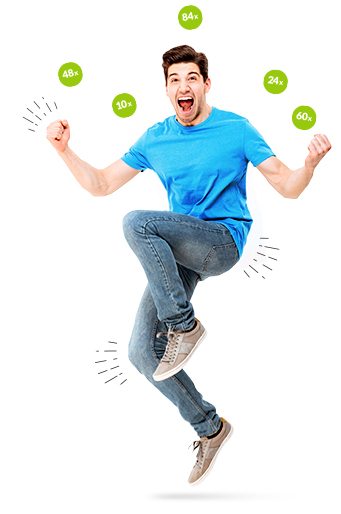 We offera wide range of high quality products at unbeatable prices! 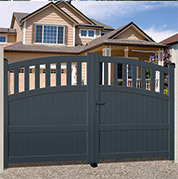 Just as the design, colour and security of a gate is important so is the material. 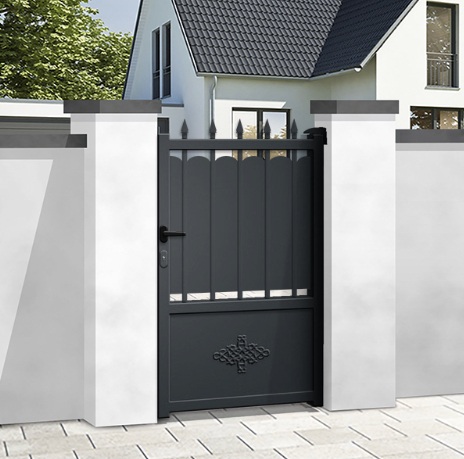 Aluminium is an increasingly popular choice for gates. 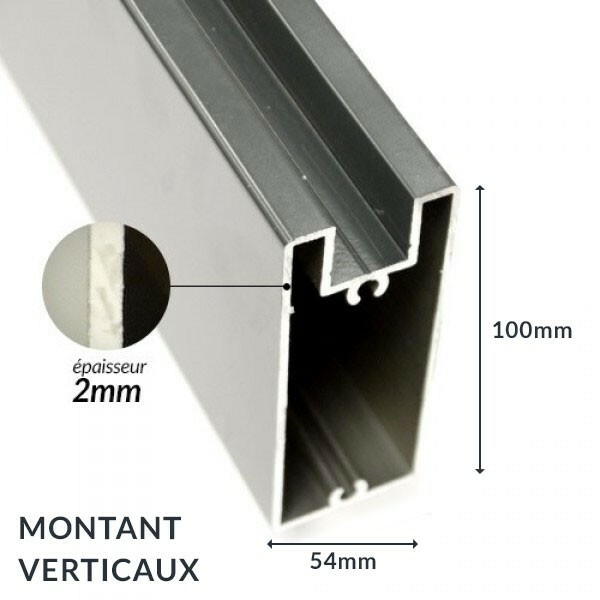 The European brand EMALU is well known for its years of hgh quality aluminium carpentry. 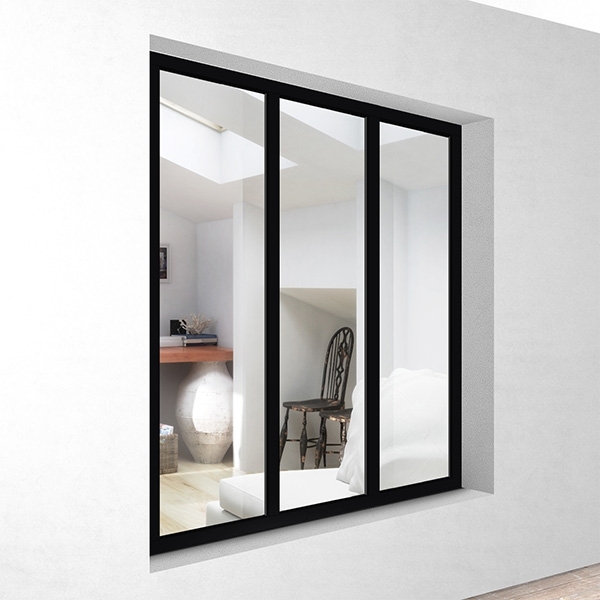 EMALU aims to provide new and inovative designs for its customers whislt guaranteeing durablity and strength. 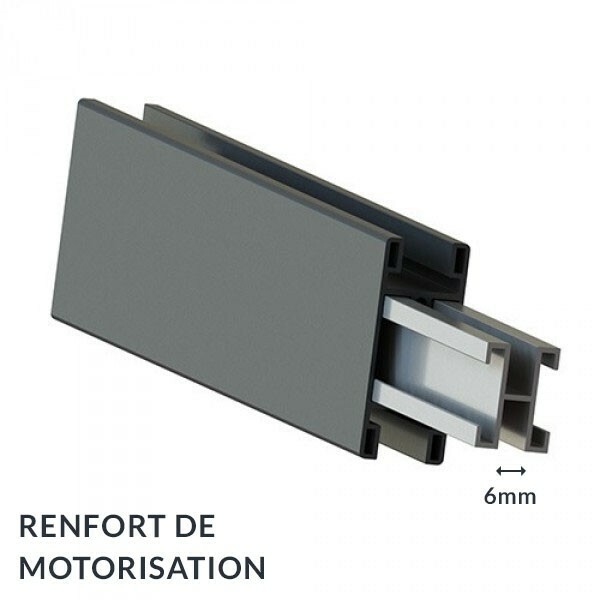 EMALU aluminium sliding gate LILLE is a unique product. 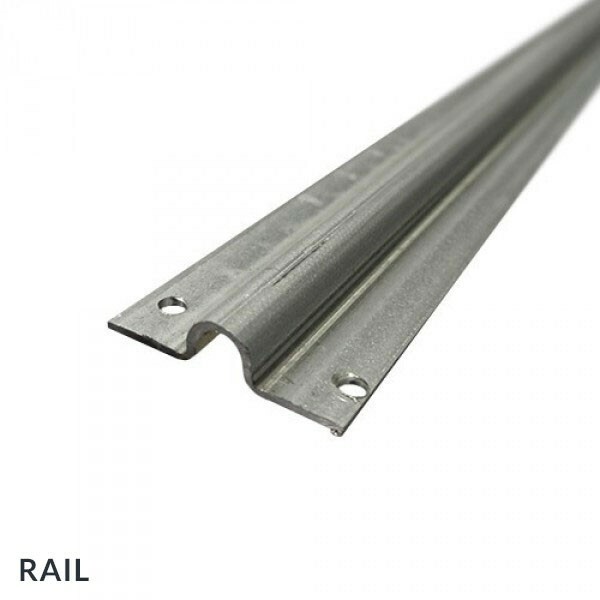 So why choose a sliding gate? 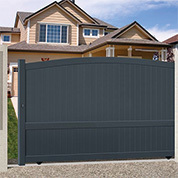 There are many advantages to choosing a sliding gate. 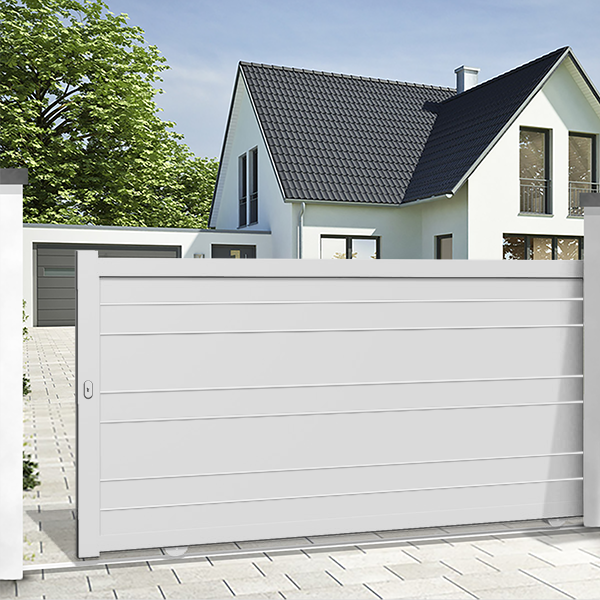 A sliding gate is highly practical as it can be fitted on almost any driveweay whether it slopped or spatially restricted. 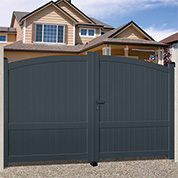 In comparison to a swing gate, which needs a large opening space, a sliding gate only needs equal clearing space on either side. 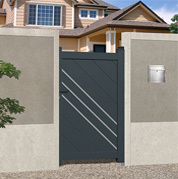 The sliding gate fits in narrow spaces. 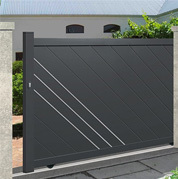 Aside from the spatial benefits, the sliding gate LILLE can be fitted with an automated motorised system. 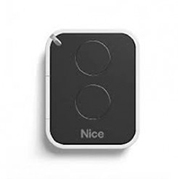 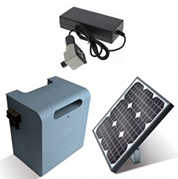 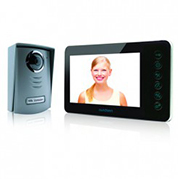 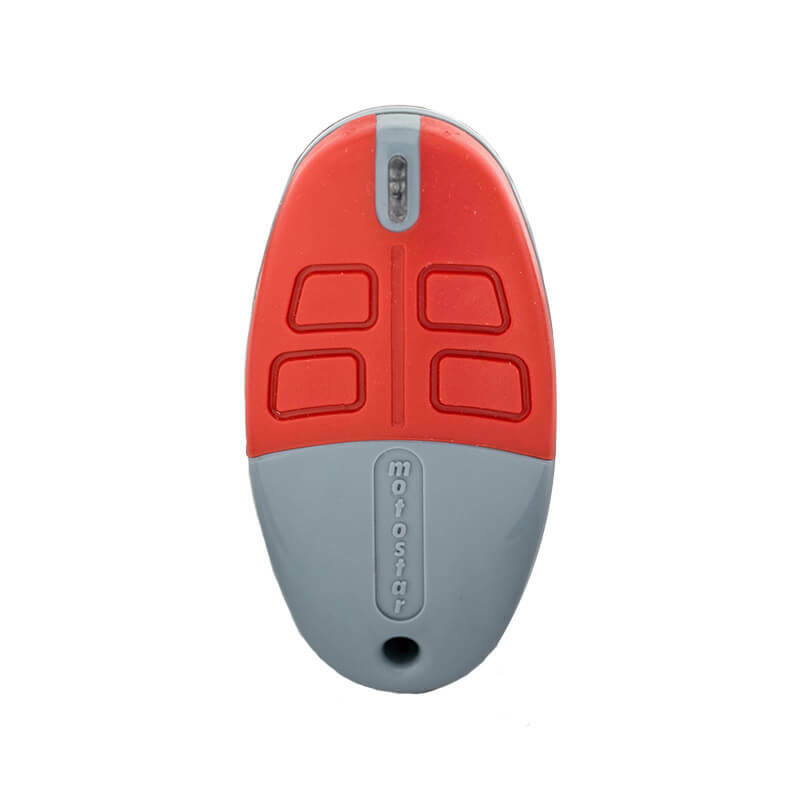 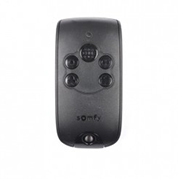 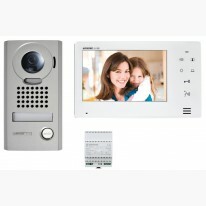 Using a simple clicker, you can open and close your gate without leaving the comfort and security of your car or home. 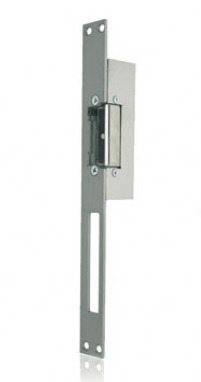 Financially, the sliding gate is less costly then a swing gate. 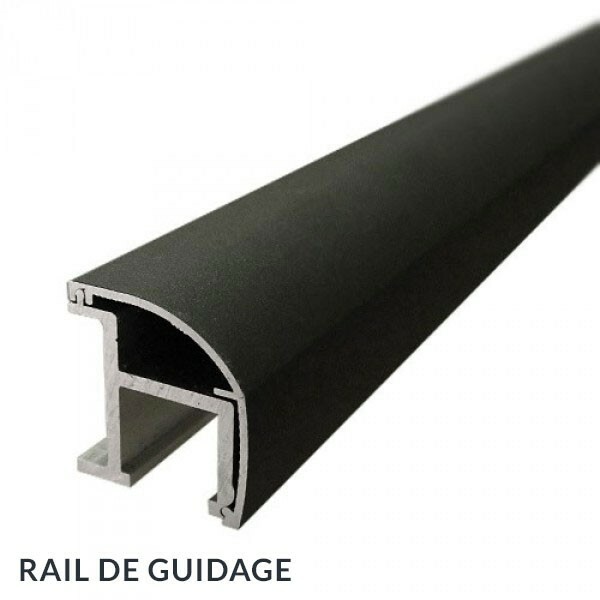 Whilst there are many materials availabe such wood, PVC, iron and aluminium it is the latter which recommended by experts for its robustness. 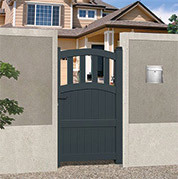 Do not hesistate a moment longer and visit mistergatesdirect today and customise the perfect gate for your home. 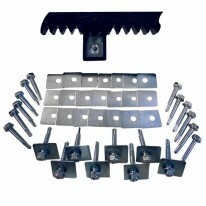 Mistergatesdirect.com provides unbeatable quality products at unbeateable prices!